The Cannonball Jellyfish is a member of the Stomolophidae jellyfish species family and gets its name from the cannonball style shape and size of its body. The Cannonball can sometimes be colored with a brown or red tinge with the body of the jellyfish itself usually being a milky brown or yellow color. Cannonball jellyfish are rather prominent in shallow, inshore waters on the south east American coast in the summer and fall months. 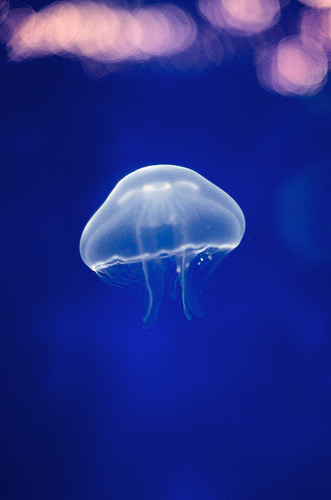 Humans are relatively safe when it comes to being stung by cannonball jellyfish as they do not usually sting people but if a human is stung by the Cannonball, the toxin may still cause heart complications with the same result as another species of jellyfish.